With site & event tracking we connect your existing web site and apps with 305press. Every page visit, every interaction with your apps, any custom events you define, etc.. can easily be logged (and related to contacts) with a single snippet of code. You can then create fully automated campaigns, personalize campaigns, segment your contacts, & more based on that data. 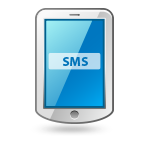 Add automated SMS sending to your automation sequences. Send follow ups to your contacts, notify sales agents, and more. 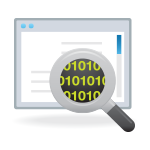 GEO location data of your contacts is automatically tracked for the ability to create more intelligent campaigns. Send campaigns specific to your contacts home location and where they travel. ERJA allows for a deeper understanding of your customers interests and habits for a much smarter and cost effective email marketing campaign. Get comprehensive data such as age, location, interests, social media profiles, and more. Inbox Preview tool that not only shows you visually how your message will appear in each email client, but actually shows you which code is causing the issue! 305press allow for fully dynamic email content. You can now tailor your content precisely to each recipient, based on any piece of information you have collected about your contacts. You can now tailor your content precisely to each recipient, based on any piece of information you have collected about your contacts. With 305press Email Marketing you can easily send email campaigns, auto responders, and more in ANY language that you desire!